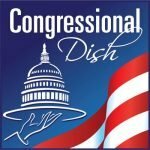 Congressional Dish is a twice-monthly podcast that aims to draw attention to where the American people truly have power: Congress. From the perspective of a fed up taxpayer with no allegiance to any political party, Jennifer Briney will fill you in on the must-know information about what our representatives do AFTER the elections and how their actions can and will affect our day to day lives. You will likely laugh a few times along the way. Corporate advertising is the funding model of most sources of information, which makes large corporations – not you – the mainstream media’s main customer. They aim to keep their advertisers happy; Congressional Dish aims to keep you informed and entertained. By supporting Congressional Dish and its value-for-value funding model , you are allowing the podcast to remain free of corporate sponsorship, which not only leads to a better listening experience but keeps the podcast accountable only to you, the voter/listener. Jennifer Briney started paying attention to world events while studying in Germany in the spring of 2003, when the United States overthrew the government of Iraq. After experiencing the war from outside the United States, she started asking questions. Every answer lead to fifty more questions. This lead to a thirst for information that she is still unable to shake. After finishing her Communications degree at Loyola Marymount University, Jen started watching C-SPAN in order to get raw, unfiltered information about how Congress was changing our laws. After watching a Congressman slip a provision protecting secret campaign contributions into an Energy and Water funding law (and bragging about it on the floor of the House of Representatives), Jen was stunned to discover that not a single television station, newspaper, or even blog covered the scandal. She wondered how often this happened and started reading the Congressional Record. It turned out that this happens all the time. 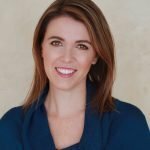 Over the years, the feeling like she was the only person paying attention to this information was making Jen insane so in late 2012, she launched Congressional Dish in order to share the information, to have an emotional outlet for dealing with the discoveries, and to create a community of people who were interested in Congress’s effect on our lives. Congressional Dish is now her full time career, thanks entirely to the support from our growing community of people from all over the world. Since the start of the fully Republican controlled 115th Congress and the Trump administration, Jen has been focusing on reading all of the legislation that gets signed into law, along with any other stories that she finds fascinating and under-covered. When not obsessing over Congress, Jen can be found paddle-boarding, playing volleyball, participating in a kickball league, rooting for the Patriots and Raiders (unless they play each other, in which case – Go Pats), and frolicking in the green grass with her adorable pup, Abby.